A really feminine and sweet tweed, perfect for any girl hound whether strolling around town or through the countryside. The fabric is a smooth, closely woven Yorkshire tweed in a classic fancy check of sky blue and violet pink over a soft moss green ground. 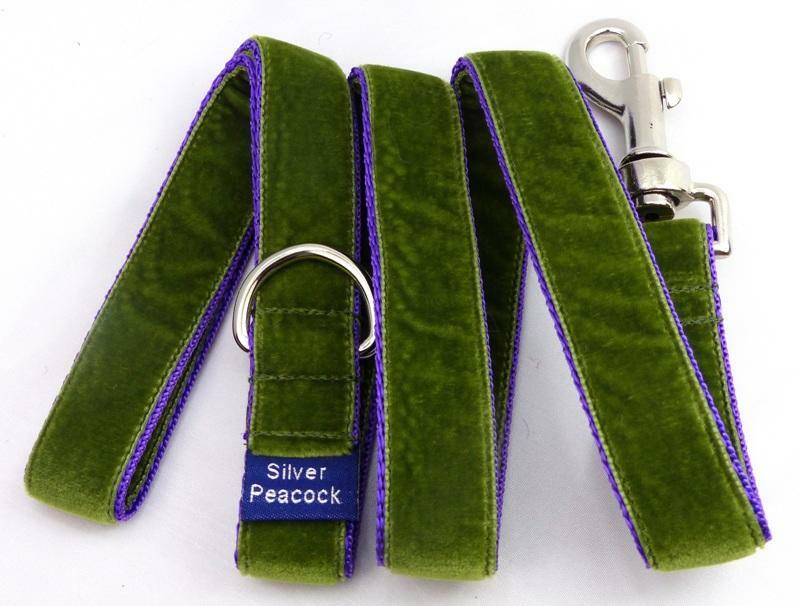 The collars are lined in complementary violet pink fabric and are finished with our signature robust silver coloured hardware.